The peapod is traditional design that first started as a canoe-type vessel used by Native Americans, then adapted by early colonists into a double-ended, plank-on-frame work boat, and now has evolved into its present form most widely used for recreational purposes. 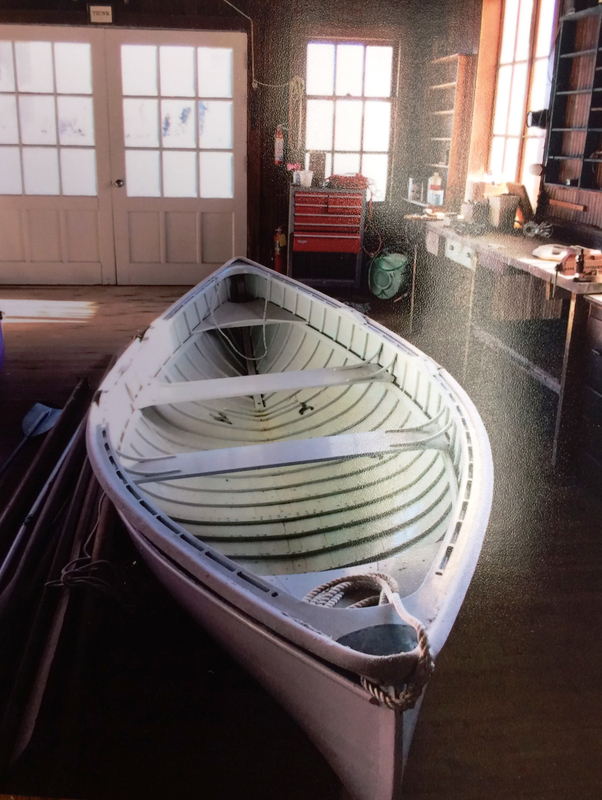 In the past, peapods were the “entry level” boat of choice for fishing and lobstering along the Maine coast. While they are seldom used for work anymore, their double-ended hull form, considerable beam, and tremendous buoyancy make them ideal for use as a recreational rowing craft or as tender to a larger yacht. As a rowboat, peapods are easily propelled by one person, but they have the advantage of accommodating two pairs of oars and two oarsmen, when desired. You can cover a lot of ground quickly and with surprisingly little effort, with two people rowing. Often used as a tender to a larger cruising vessel (power or sail), they tow with minimal resistance, behave well on the end of a towline and once in port are capable of carrying the yachts full crew and gear to shore in complete safety and style. Joel White’s version of the peapod design seems to take everything good about the type and combine it in one, very beautiful design that represents the ultimate evolution of the type to date. 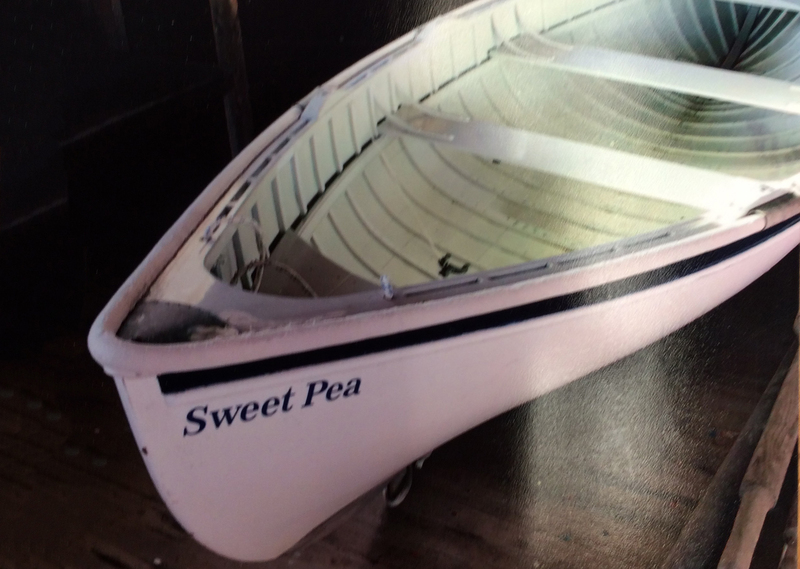 This peapod now offered for sale (SWEET PEA) was built by Brooklin Boat Yard in 1996 and kept to high standards by her (only) owner ever since that time. Weight 200 – 225 lbs.